Mark Spencer is a Senior Principal and manager of the Oakland office, focuses on traffic analysis for multi-disciplinary projects, and excels at community engagement. He is registered in California as a Traffic Engineer. He holds a B. Eng. in Civil Engineering from McGill University and an M.S. in Civil Engineering from the University of California at Berkeley. 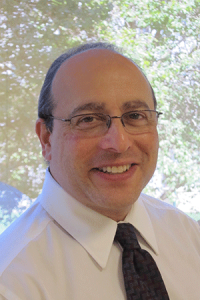 He has been working as a consultant in the Bay Area since 1990, and joined W-Trans in 2011. His work includes managing a wide array of transportation planning projects, from EIRs and Specific Plans to parking studies and neighborhood traffic management plans. He is often invited to present projects before community forums and elected officials, and is recognized for his ability to present technical topics to both general and professional audiences. When asked what he does for a living, Mark will typically respond that, through transportation, he works to make communities better, safer and more livable. He also enjoys his role in mentoring and training staff. Mark has been an active member of ITE since he was a Student Chapter President “back in the day” and then as an elected officer in the San Francisco Bay Area Section. He was Chair of the 2010 ITE Western District Annual Meeting in San Francisco, and was elected to the Western District Board in 2014. He is currently the ITE Western District President, and an Executive Board Member of the ITE International Transportation Consultants Council. Mark has presented papers at ITE and TRB Meetings on topics ranging from ITS to Parking Guidance Systems and ADA Training for Professionals.